The purpose of the IM2C is to promote the teaching of mathematical modeling and applications at all educational levels for all students. It is based on the firm belief that students and teachers need to experience the power of mathematics to help better understand, analyze and solve real world problems outside of mathematics itself – and to do so in realistic contexts. The Challenge is being launched in the spirit of promoting educational change. This is a true team competition, held over a number of days with students able to use any inanimate resources. Real problems require a mix of different kinds of mathematics for their analysis and solution. And real problems take time and teamwork. The IM2C provides students with a deeper experience both of how mathematics can explain our world and what working with mathematics looks like. To enter in the 2017 IM2C teams must first be selected by their participating region/country. 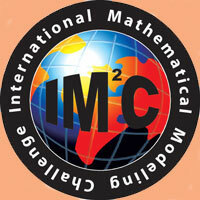 To participate in IM2C a team must have a faculty advisor from that school. There are several procedures that a team's advisor must go through at various times before, during, and after the contest. Please read these instructions carefully and be sure to complete all the steps involved. It is the advisor's responsibility to make sure that teams follow all steps required for participation in IM2C. Teams will be given access to a modeling problem and provided a 5 day period to work on it and submit their solution. Submissions will be evaluated by mathematicians for completeness and how well it solves the problem.